Looking for a flash of brilliance? This fun and fabulous 2-in-1 dry shampoo and volumizer is perfect to give hair a boost anytime, anywhere — any day, any night. It’s a convenient refresher for dirty, dull and lifeless hair. 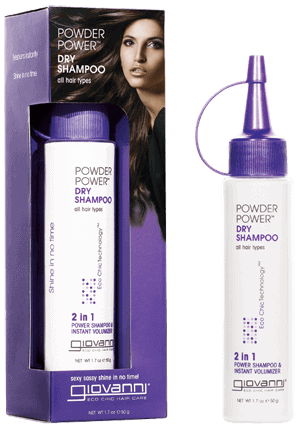 Powder Power™ Dry Shampoo soaks up excess residue and provides body and shine. Formulated with Corn Starch to absorb excess oils and dirt, Panthenol (Pro-Vitamin B-5) to help strengthen hair, Ginseng and Grape Seed extracts energize each tress. This sulfate-free shampoo has no surfactants that dull, strip color, or damage your hair. It’s 100% color-safe, paraben- free, and cruelty-free. Look in the Ingredients tab for a listing of USDA certified organic ingredients. To quickly cleanse hair, apply to roots, massage into hair and brush through for a blast of refreshment. CAUTION: Avoid inhalation of product and contact with eyes. Keep out of reach of children. 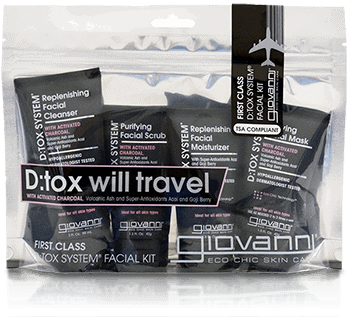 Absolutely Great Product !! Does exactly what is states but your hair feels and smells fresh & clean !!! !